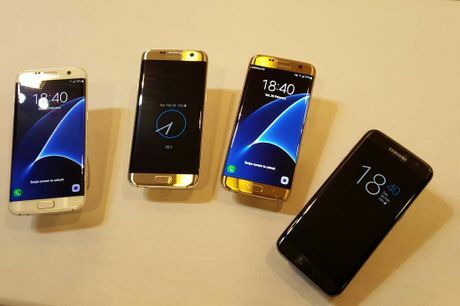 SAMSUNG is rushing out the release of its new Galaxy S7 and Galaxy S7 edge phones in Australia. The devices, announced on the eve of Mobile World Congress in Barcelona along with new gadgets from LG and Huawei, will go on sale from March 11. The Galaxy S7 will sell for $1149 in Australia while the Galaxy S7 edge will have a RRP of $1249. The Samsung Gear 360 camera will also launch in Australia later this year. Pricing has not yet been revealed. Samsung Pay will also be available in Australia later in 2016 with partners including American Express. To sweeten the Galaxy deal, Samsung will include its latest Gear VR headset for anyone who buys the S7 or S7 edge between February 26 and March 10. On Sunday night, LG threw out a big challenge to Samsung with a lighter and cooler looking VR headset and a range of devices, including an DSLR camera attachment. It's clear that it's not just about a phone anymore. Samsung's Australian vice president for mobile, Prasad Gokhale, said the S7 had 'fundamentally changed what a mobile device can offer''. "Meaningful innovation should deliver beautifully crafted technology that is built to support the lifestyles of today's consumer." Samsung's mobile president DJ Koh said the new device offered "a world that is brighter, sharper, more convenient, and more fun."